National Roads Authority in conjunction with Donegal County Council. Open Competition with two Stages. Seven Sandstone Standing Stones. The stones are uplit at night by spotlights placed in the base of each stone. 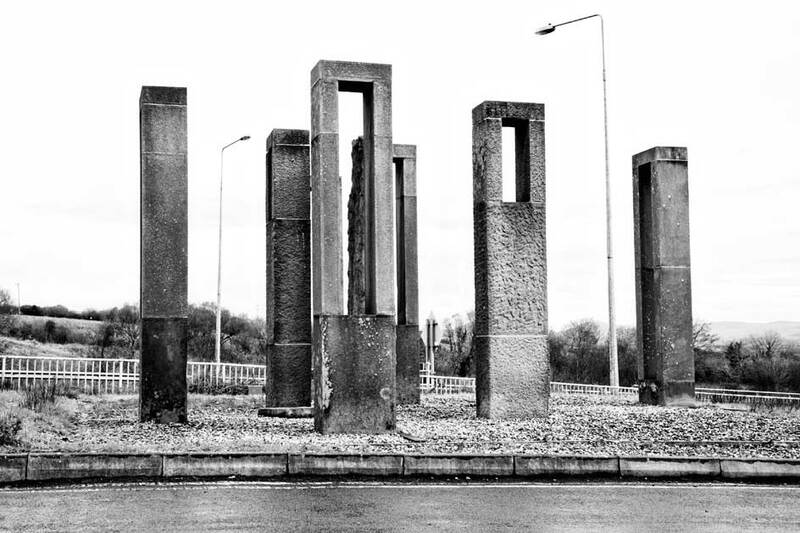 The sculpture stands 3.2 meter in height, and 400mm thick by 800mm wide, is made from Mountcharles Sandstone (unique to this area) Located on the Mountcharles By pass. Mountcharles Sandstone was used as a symbol for the evolution of Mountcharles from ancient times to the beginning of this new century. 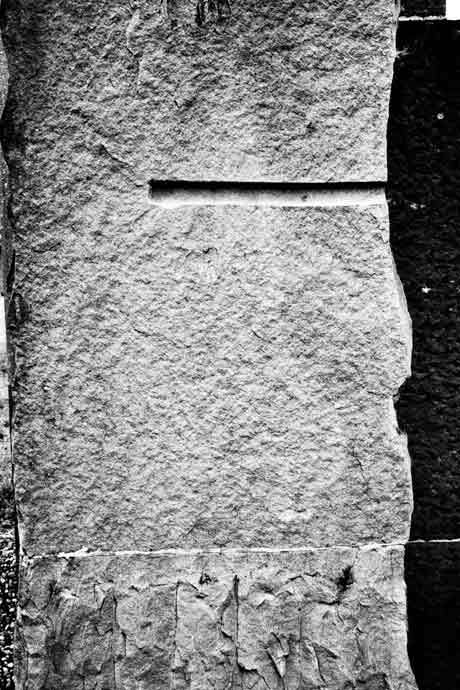 The stone of Mountcharles, like its people have been exported all over the world. Indeed much of it can be seen on many of Dublin’s best public buildings. 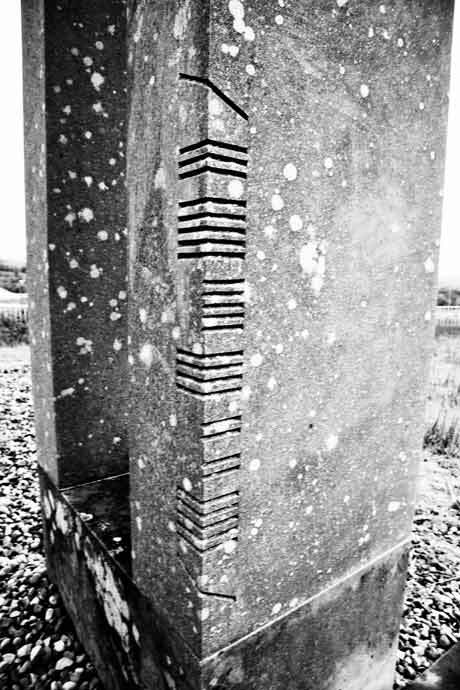 The idea of marking special places with stone has endured throughout the ages in Ireland and especially in Donegal. These standing stones are a reinterpretation of the idea of an enclosure of stones seen in stone circles or forts. The stones are clustered towards the centre and radiate outwards. Biography of Artist: Gerard Harvey is a practicing Architect. He has a diploma in Architectural Technology and a Degree in Architecture, both from Bolton Street D.I.T. He has also recently completed a post-graduate diploma in Conservation from Trinity College and is currently working with The Office of Public Works.